Toyota Auris Touring Sports Performance, Engine, Ride, Handling | What Car? 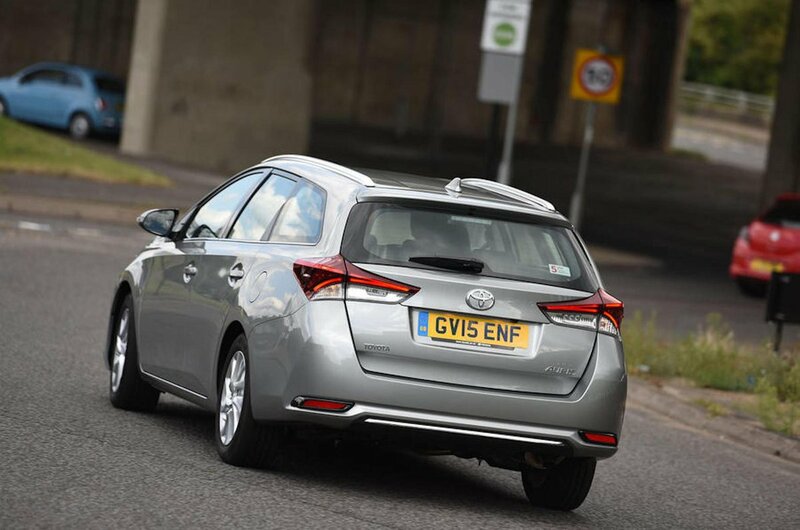 The Auris estate is slightly heavier and longer than the hatchback, so it drives in a similar manner. That means it’s still safe and competent with predictable handling, but it’s not engaging to drive and the steering is light and inconsistently weighted. There’s also a lot of body roll through the corners. 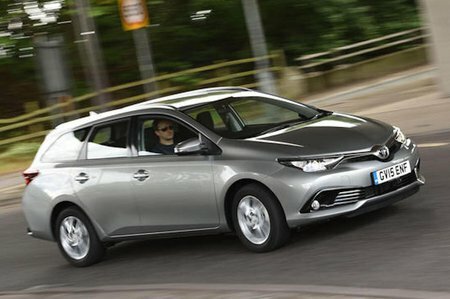 The Auris gets unsettled by large potholes and sharp ridges, but in the main it does well to smooth away most surface imperfections. It’s worth noting that the 1.3-litre petrol and 1.4-litre diesel models use a more basic suspension set-up than other versions, and the ride quality suffers as a result. Of the engines available we’d favour the 1.2-litre petrol engine. It offers good performance around town and while it does feel a bit more sluggish out on faster roads it’s still the best engine for its blend of performance and economy. It’s available with a six-speed manual gearbox, which is reasonably slick, or a CVT transmission. It’s also the quietest engine in the line-up. The 1.6-litre diesel engine is a little lacklustre by comparison. Although it’s not far behind the 1.2-litre petrol in absolute pace, it isn’t particularly gutsy, so you’ll often have to change down a gear or two at higher speeds if you want decent acceleration. At least it pulls smoothly from low revs. If you spend most of your time in town, then you’ll find the hybrid is zippy enough. The added boost from its electric motor means it’s reasonably quick off the line, too. The faster you go, however, the less effective its performance becomes, so accelerating or overtaking on A-roads and motorways isn’t its strong point. That said, the hybrid Auris will cruise quite happily once up to speed. Both the 1.3-litre petrol and 1.4-litre diesel are pedestrian performers, so aren’t really worth considering unless your budget won’t stretch to a more powerful engine.